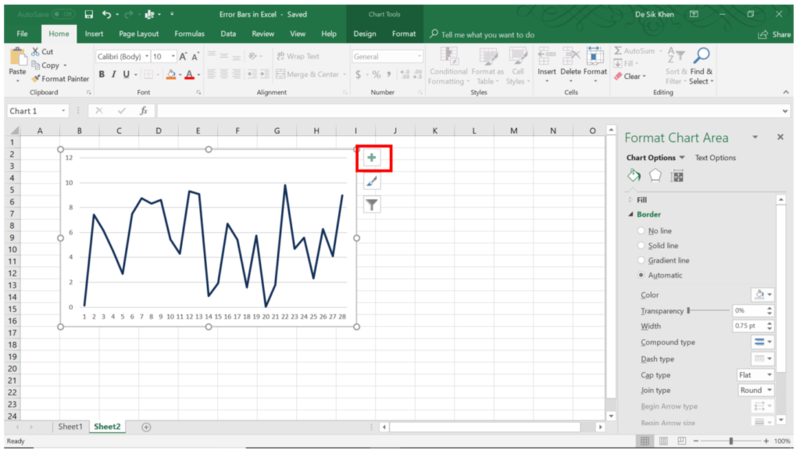 What are Error Bars in Excel? 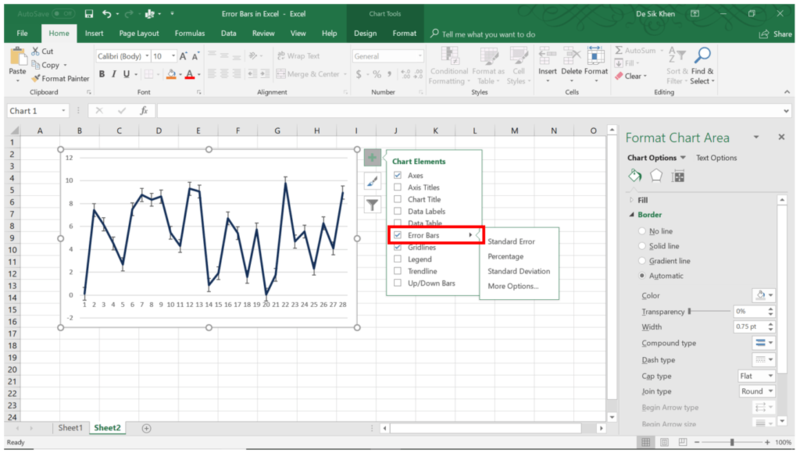 Error bars in Excel are graphical representations of data variability. They show the precision of a measurement. The bars usually represent standard deviationSTDEVA FunctionThe STDEVA Function is categorized under Statistical functions. It will the estimate standard deviation based on a sample. As a financial analyst, STDEVA can be useful in finding out the annual rate of return of an investment and measure the investment's volatility. If a stock is volatile, it will show a high standard and standard error. They indicate how far from the determined value is the true value. Error bars on charts provide a more comprehensive view of the data setSource DocumentsEvery time a business is involved in a financial transaction, a paper trail is generated. This paper trail is referred to in accounting as source documents. Whether checks are written to be paid out, sales are made to generate receipts, billing invoices are sent by suppliers, work hours are recorded on an employee’s time sheet – all the respective documents are source documents. and allow users to see the margins or errors in the data. How to add error bars in Excel? 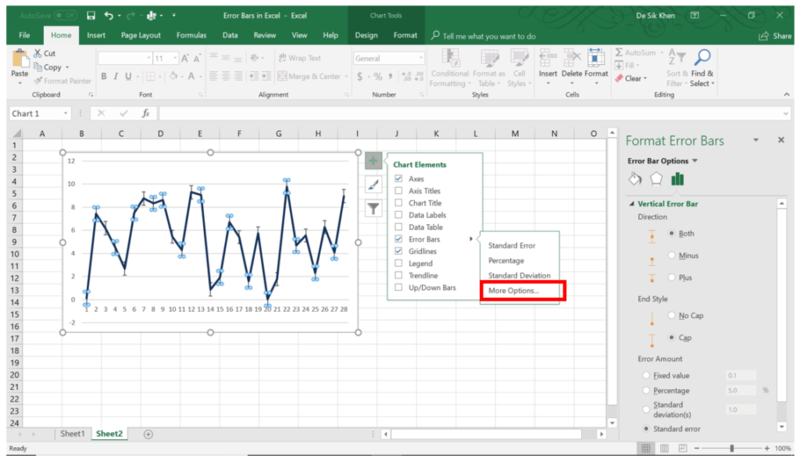 Microsoft Excel allows you to add error bars to certain types of charts, including line charts, bar charts, and scatter charts. 1. Click on your chart. 2. Click the Chart Elements (plus sign). 3. Check the box Error Bars and click the arrow next to it. You will see a list of items that you can add to your chart. Standard Error: Indicates the standard error for all values in the dataset. Percentage: Determines a percentage error range and error amount for each value. Standard Deviation: Displays a standard deviation for all values. Click More Options in the Error Bars. The Format Error Bars menu will pop-up on the right-side of your screen. Here, you can modify the style of the error bars, as well as the error amounts for the bars.